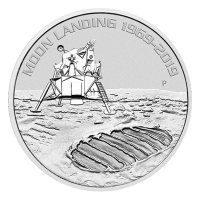 The 3/4 oz 2015 Canadian Grey Wolf Silver Coin by the Royal Canadian Mint celebrates the tenacity and amazing comeback of this signature predator of the North. Despite having been on the verge of extinction in recent years, the grey wolf (canis lupus lupus) is once again visible in much of it's original habitat and has been classified as "LC" or "Least Concern" by the IUCN. The Grey Wolf is the largest extant member of it's family, averaging 43 - 45 kg in males and 36 - 38.5 kg in females. It has less pointed features than other wolves and is one of the world's best researched and well known animals. 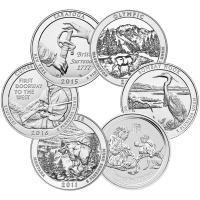 At 3/4 of an ounce, this uncommonly sized coin pays to tribute to one of natures most unique, social hunters. The reverse by Canadian artist Pierre Leduc features a lone, majestic Grey Wolf, howling to the night sky surrounded by open sky with a forest in the distance. The wolf is standing on a hill or outcropping, naked against the night sky in it's quintessential pose. It is surrounded by the words "Canada 2015 Fine Silver 3/4 oz 9999 Argent Pur" and the outer edge also features the radial lines used in silver maple leaf coins. 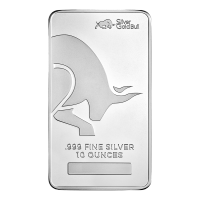 The edge is reeded and the coin is made from the signature 9999 pure silver that people have come to expect from such a prestigious mint. 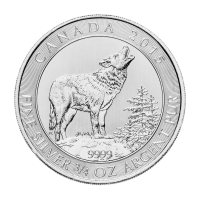 3/4 oz 2015 Canadian Grey Wolf Silver Coin The 3/4 oz 2015 Canadian Grey Wolf Silver Coin by the Royal Canadian Mint celebrates the tenacity and amazing comeback of this signature predator of the North. Despite having been on the verge of extinction in recent years, the grey wolf (canis lupus lupus) is once again visible in much of it's original habitat and has been classified as "LC" or "Least Concern" by the IUCN. The Grey Wolf is the largest extant member of it's family, averaging 43 - 45 kg in males and 36 - 38.5 kg in females. It has less pointed features than other wolves and is one of the world's best researched and well known animals. 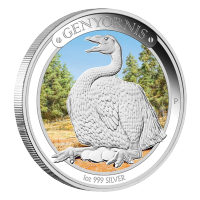 At 3/4 of an ounce, this uncommonly sized coin pays to tribute to one of natures most unique, social hunters. The obverse features the Susanna Blunt effigy of Queen Elizabeth II and the words "Elizabeth II 2 Dollars 2014", the artist's initials and the new radial lines design also used in silver maple leaf coins by the Royal Canadian Mint. The reverse by Canadian artist Pierre Leduc features a lone, majestic Grey Wolf, howling to the night sky surrounded by open sky with a forest in the distance. The wolf is standing on a hill or outcropping, naked against the night sky in it's quintessential pose. 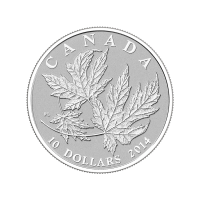 It is surrounded by the words "Canada 2015 Fine Silver 3/4 oz 9999 Argent Pur" and the outer edge also features the radial lines used in silver maple leaf coins. 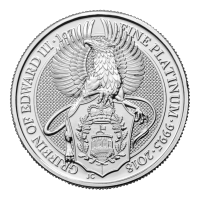 The edge is reeded and the coin is made from the signature 9999 pure silver that people have come to expect from such a prestigious mint. 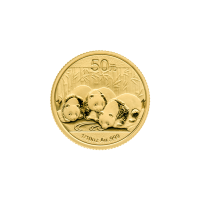 This beautiful coin stands alone in a class by itself and is sure to be a favourite with collectors of wildlife, wolf and beautiful silver coins.